PM wrote: Behold the new Tachyon Beamer! Nice. I see the new hitscan implementation has caught your attention. I love the crackling effect ! Looks like George must've used a script that put a Nasser on each inbound/outbound stargate for the system, not expecting more than one such gate to show up. Actually, that’s not how it happened at all. This was my second time in the system; the first time, there was only one Nasser. AssumedPseudonym wrote: Actually, that’s not how it happened at all. This was my second time in the system; the first time, there was only one Nasser. Well, at least that's simpler to fix. Just check for his presence in the system and don't spawn him if he's already there. Also, have you tried getting even more of him to appear by gating in and out? I thought that check is already in place. I mean, Anton doesn't get created every time I gate into a system he is present. The simplest way to ensure that is to check whether he's there, and only if not, spawn him. This seems to be a bug where the check somehow reports he's not there, when obviously he is. sun1404 wrote: I thought that check is already in place. I mean, Anton doesn't get created every time I gate into a system he is present. The simplest way to ensure that is to check whether he's there, and only if not, spawn him. This seems to be a bug where the check somehow reports he's not there, when obviously he is. Huh. A more error - proof system could take a global boolean, set it to true once he's spawned, and only spawn him if the boolean is false. …I’m just going to drop this one here. Once Nasser continually shot at a stargate, which had a bricked centuri on it. The explosions killed himself lol. Btw can I use pictures from this thread to promote Transcendence on G+, Facebook, etc? @LoneWolf No idea you'd have to pm George about it. 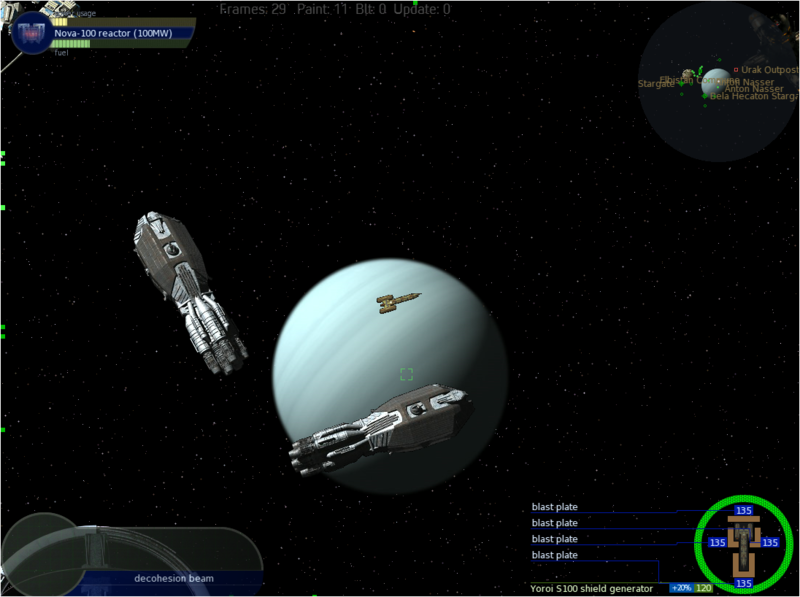 @catfighter yeah I noticed that the behemoth multiplies beam weapon projectiles sometimes. If the shot speed is low enough that the projectile can turn within the ship's hitbox at the deflection reflect produces and it has at least 50% passthrough it will keep duplicating until it kills the target or the game crashes.